July's meeting was a real treat! 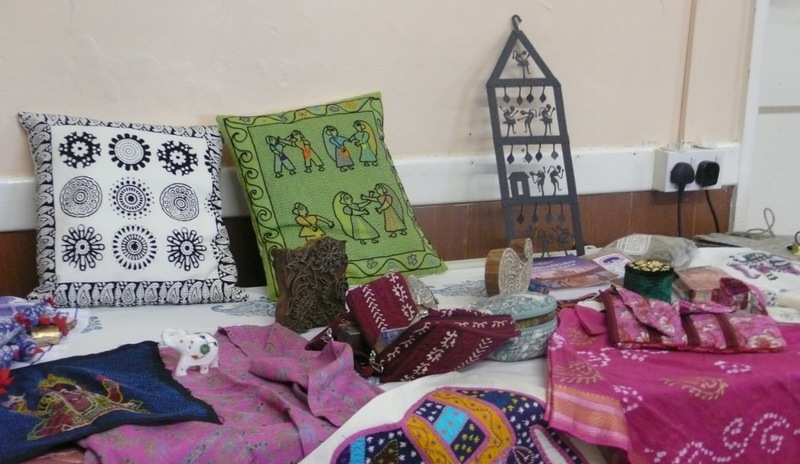 We arrived to find spicy nibbles in bowls and a riot of coloured fabrics and artefacts displayed on tables around the room. We knew we were all in for a delightful evening. 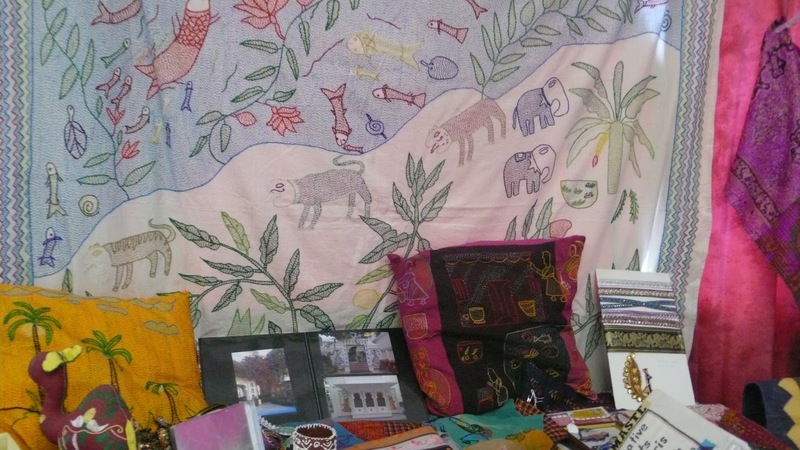 At the beginning of the year, Anne Dowsett organised a textile safari to India for our members and we were about to hear all about it! 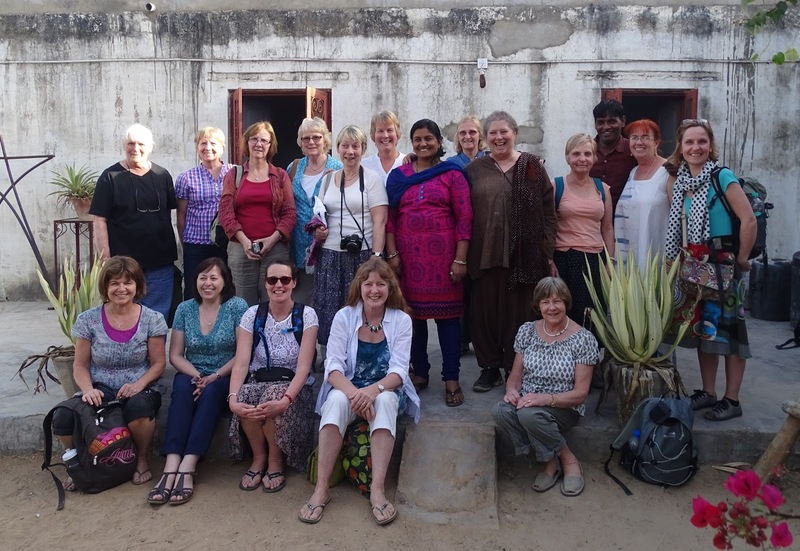 Fourteen intrepid stitchers set off on a cold February morning and arrived at 3am in a much warmer Delhi. After a lot of form filling and chaos in customs, our tired group escaped by 5am and settled into their hotel. 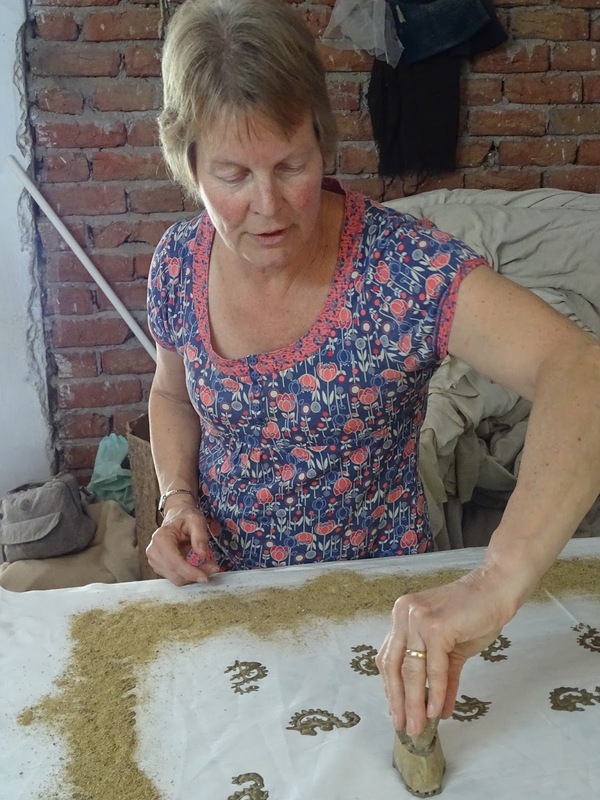 Margaret told us about their time in Delhi included visits to craft museums, the Lakshmi Temple and the Gandhi Museum ... and shopping! 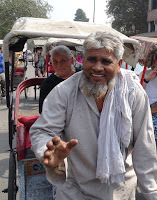 They also had time to take a bicycle rickshaw ride and visit a spice market. 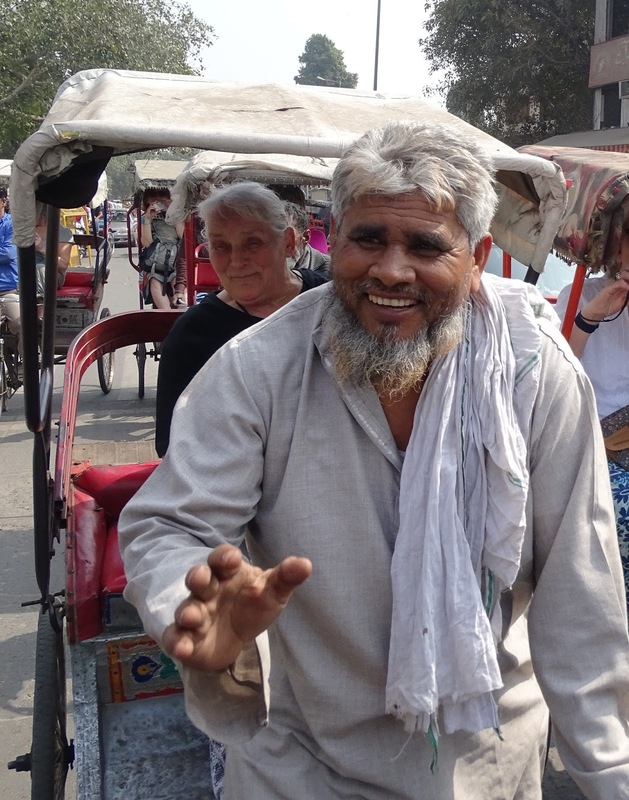 The next stop was Agra and Bernice talked about the wonderful patterns on all the buildings they visited, including the Baby Taj and the Taj Mahal. 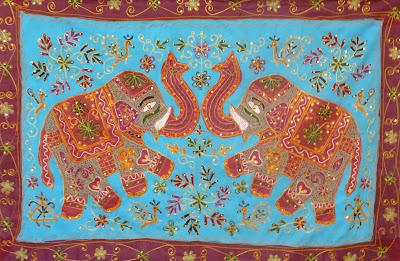 The group also went to visit the Kohinoor Jewellery Store and saw Shams' beautiful embroideries. 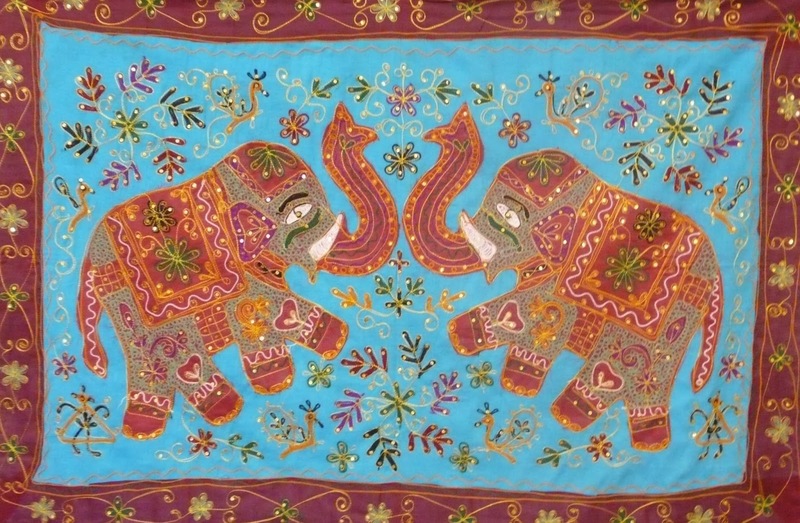 They then had the opportunity to learn some goldwork techniques from the highly skilled craftsmen ... and of course, found time for shopping! Finally they visited Fatehpur Sikri, an abandoned city ... and then on to Jaipur. 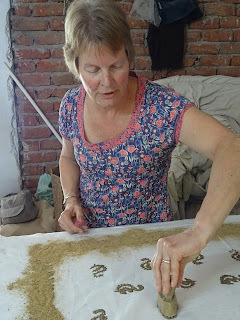 More workshops awaited in Jaipur and Gill explained the processes of dyeing and block printing. 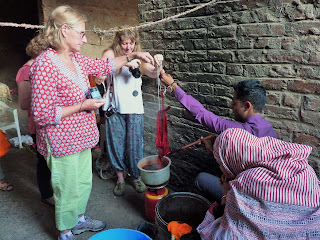 Everyone had a go, first with indigo dyes and then with block printing. Samples of their work were on display and it was lovely to see all the super designs. Visits were also made to a step well, the Amber Fort and the Water Palace. Lindsey was up next and talked to us about Barefoot College, an organisation that provides basic services and solutions to problems in rural communities. 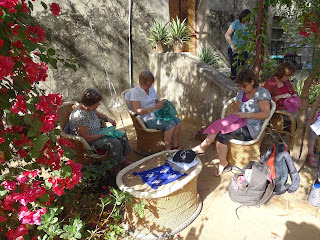 The group visited the recycling centre and spinning and weaving workshops. In Pushkar, the group met up with Fiona and Praveen, the organisers of Creative Arts Safari and spent time sewing in Fiona's garden. 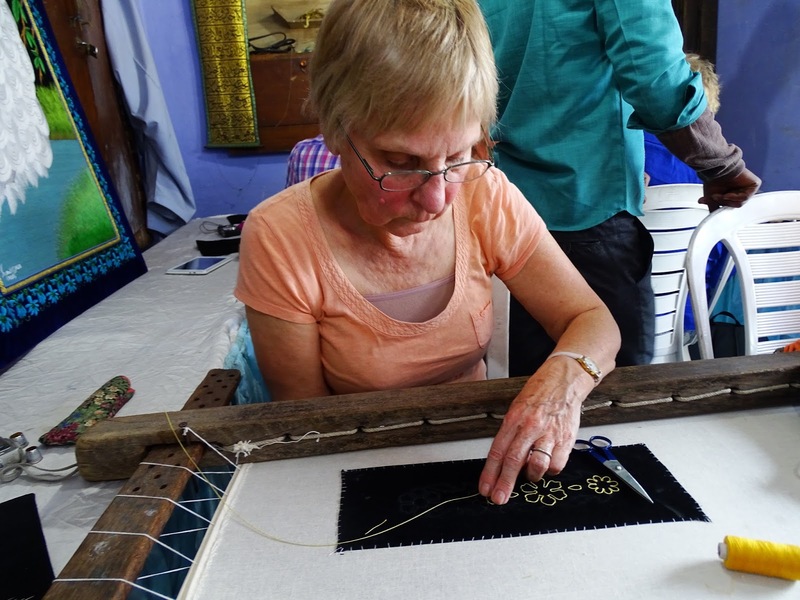 They were joined by Sanju, a very experienced embroiderer. 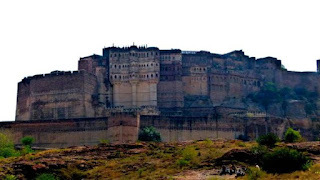 Next stop Jodhpur, the blue city and Anne took us on a guided tour. The Mehrangarh Fort dominates the skyline and contains some wonderful artefacts and decoration. We continued the tour with Eleanor and Christine in Udaipur where visits included a Jain Temple, a tie-dye workshop and a boat trip ... and of course, shopping! After Udaipur, everyone boarded the overnight train back to Delhi, for the flight home. 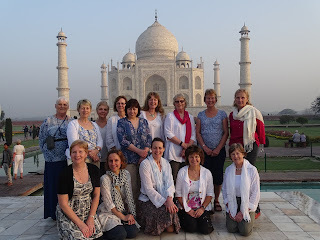 A big thank you to Anne for organising the trip and many thanks to all our speakers for a very entertaining evening, for the delicious lassi and mouth-watering nibbles. The time flashed by as we were transported back to India and the experience of a lifetime.